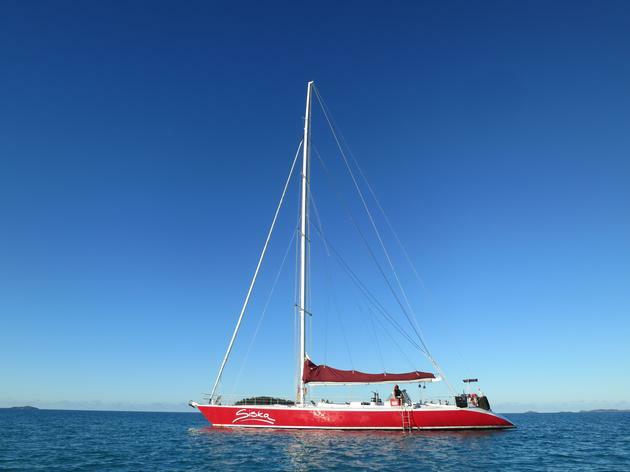 The Whitsunday Islands is a group of islands of the coast of Queensland which are best explored via sailing trips. The most common starting point is Airlie Beach, a really nice seaside town. From there, every shop and hostel will be happy to sell you a sailing tour. I chose a reconverted racing boat on a two days, one night trip. Named Siska, the boat had a very interesting history and is the holder of a few records. Unfortunately, there was almost no wind during the whole tour which mean that we used the sail only briefly. The highlight of these two days was the Whitehaven Beach. From up the hill, the view is stunning. The sand is almost pure silica which makes it extra white and very fine. The beach is a pleasure to walk on. The trip is mostly spent sailing around, doing a bit of snorkeling and relaxing. As it was Whale season, we encountered a few of them, usually a mother and her baby. They swim around and breach from time to time. A huge one went right under our boat which is a pretty rare event. Dolphins and turtles also joined the party. 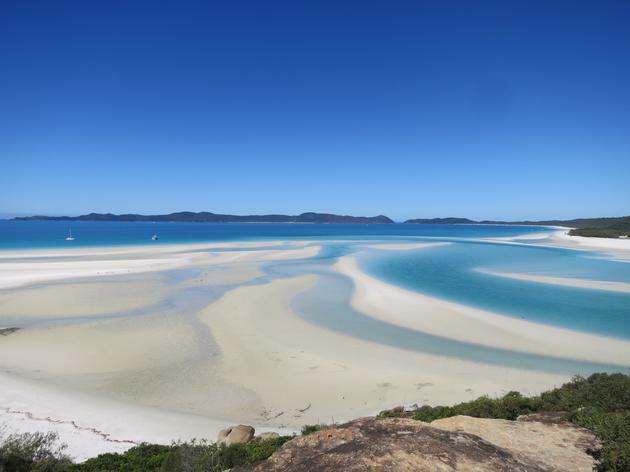 The Whitsunday Islands should definitely be on top of your list of things to do in Australia.